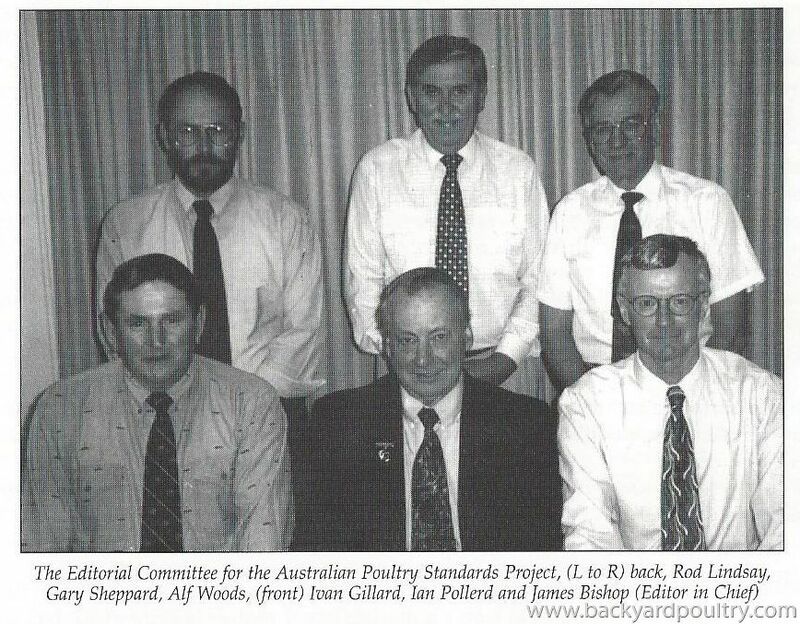 Australian Poultry Standards Editorial Committee. Photo from 'Royal Show 2000 - In Memory of the Great Fanciers' by the FCAQI. 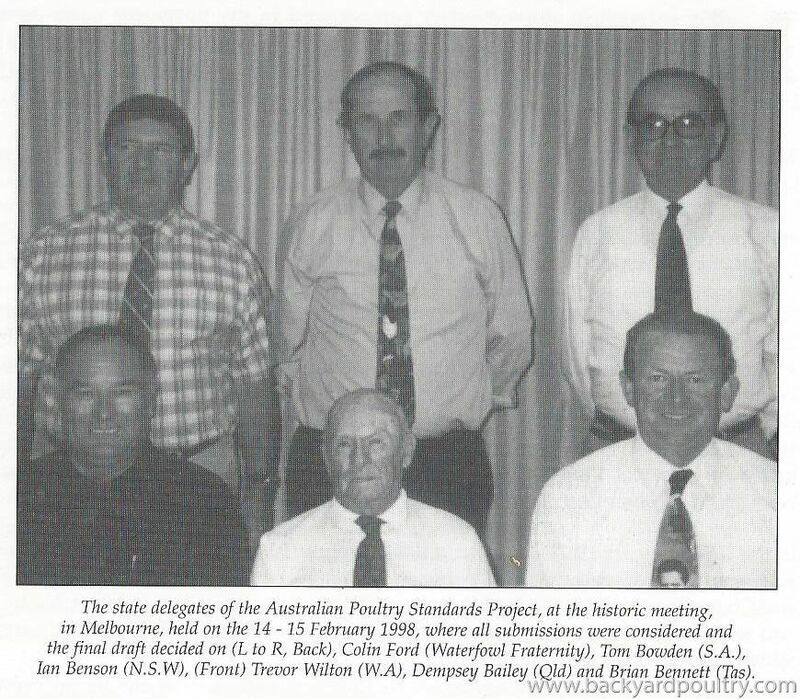 Australian Poultry Standards State Delegates. Photo from 'Royal Show 2000 - In Memory of the Great Fanciers' by the FCAQI. Great pics. Sadly quite a few of these gentlemen are no longer with us. There was no greater contributor to Exhibition Poultry than the late Gary Sheppard. Held the poultry section together at the Melbourne Royal for many years and exhibited outstanding white wyandottes. Was there a more respected judge thru this land? I doubt it. Damn good bloke too. The champion Bird in Show at Melbourne Royal receives the Gary Sheppard Memorial trophy.